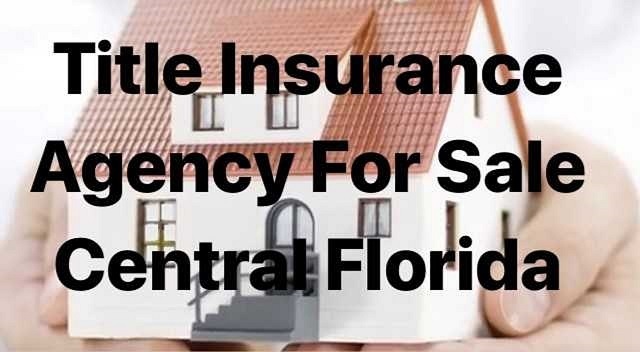 Central Florida Title Insurance Agency for sale. Business has a 15-year track record, has long term, loyal clients, and has a well-trained seasoned staff. They are licensed to use Softpro as their title insurance software and the business, housed in a 1500 sf facility. Two leading underwriters provide access to all 67 county records. The owner is retiring after the sale. Owner ensures a smooth a smooth transition and will stay on in a limited capacity as a consultant if needed. Excellent books & records. For more information please call 407-478-4101. Growth & Expansion: Because of the high growth over the next 10 years, property sales will grow dramatically. This area is in the top ten highest growth areas in the State of Florida. Support & Training: Seller to give 30 days training without cost to buyer. The seller also can be available after this period based on a separate buyer –seller agreement. Reason for Selling: The owner is retiring after the sale.